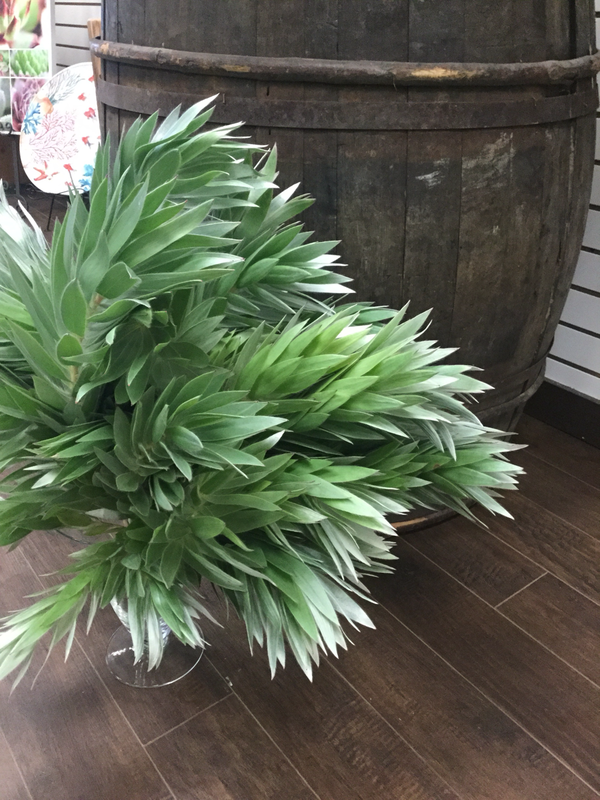 At Revelstoke Florist, we source our flowers and plants from growers in Canada, which makes us special. Though imported flowers are cheaper and most varieties are available all year, we don't think those things are as important as ecological responsibility. Canadian flower and plant growers must meet strict environmental guidelines, and they are restricted from using many harmful chemicals which are commonly used in other countries. In addition, Canadian flowers are fresher, because they don't have to be boxed and shipped thousands of miles to arrive in Revelstoke. Buying local has one other very important benefit, we are supporting growers who are in turn employing lots of Canadians who earn a living wage. Many of these growers are losing out to cheaper imported flower sources and closing their doors. We don't think that's right. Most traditional florists throw away an average of 40% of the flowers they buy each week, because they try to make every flower variety available year-round. We know that you'd rather give and receive the best looking, freshest varieties available when you want them! So, we order a larger quantity of the best blooms, which reduces our cost. We pass that saving on to you, and you can feel good that you are supporting a system which reduces flower waste by 90%. So, here at Revelstoke Florist, you will not find the same flower varieties available year-round. We provide flowers grown from Canadian fields in season, and in months when the weather here in Canada is too harsh to grow outside, we buy from greenhouses. Because of this, we do things a little bit differently. 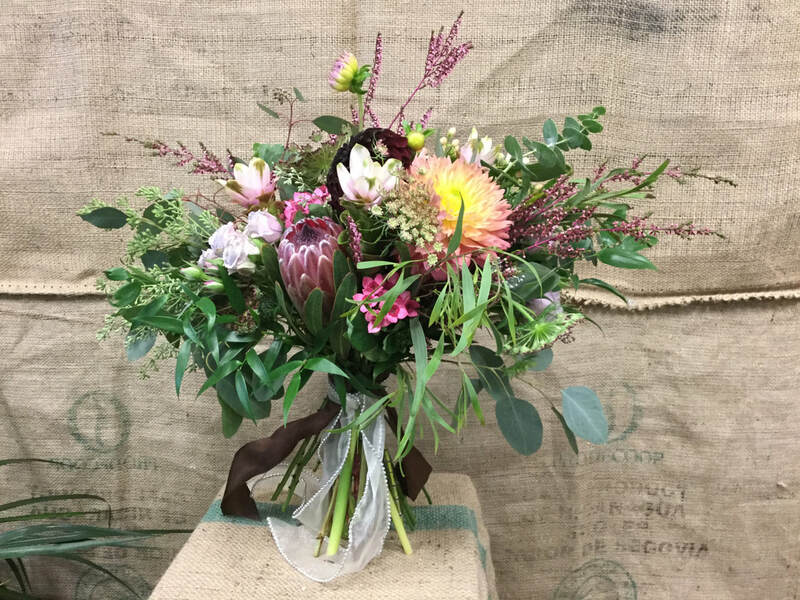 We buy only the nicest, freshest flowers from our growers each week, and make beautiful, healthy, sustainable flower arrangements and bouquets with them. To see what flowers and arrangements we have available currently, be sure to check this website, our instagram feed, Facebook, or walk into our store on 211 Mackenzie in downtown Revelstoke. ​We also specialize in large specimen tropical plants for your indoor garden. As well, we offer potting supplies, growing supplies, and seed starting supplies. Check out our offering of West Coast Seeds! We keep sprouting seeds and microgreens in the shop year-around, and we keep flower and veggie seeds from February - October. Yes, absolutely! 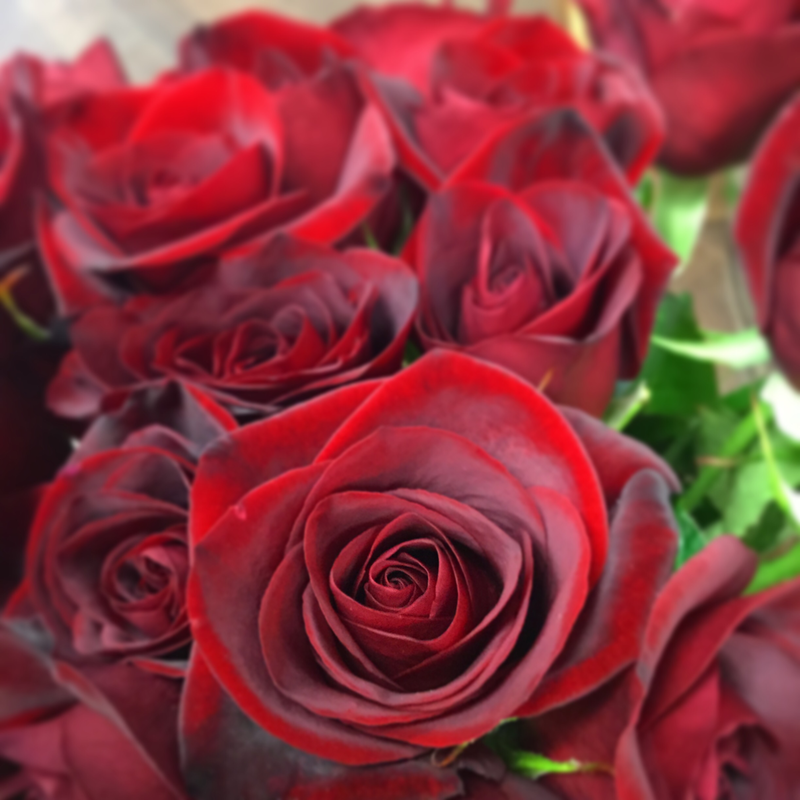 Please give us a call at 250-837-3194 before noon on the day you'd like your flowers delivered, and we can usually accommodate a same-day delivery. I you place your order through our website, please be aware that the delivery will be made on our next business day before 5pm. For non-perishables, we take returns as long as they are accompanied by a dated receipt (within 7 days from purchase). Returns must be clean, unused, unopened, and undamaged. For flowers and plants we have a 24 hour store credit or replacement policy. According to the honour system, no returns will be honoured if the product was: left in a car, left in heat/cold, taken outside in temperatures less than 15 degrees Celsius (plants) or 1 degree Celsius (flowers) without a sealed bag around it/them, put in direct sun or in the heat of a heater or hot lamp, or otherwise mishandled! We can only accept returns on plants for aesthetic reasons in the same business day, according to the honour system guidelines above! How may i pay for my order? We have several ways to order from us! 1) Use your credit card (including AMEX) through our website, 2) Use your credit card (no AMEX, sorry!) over the phone, 3) e-transfer to revelstokeflowers@gmail.com, or 4) through PayPal! We must receive payment before delivery can be made. What if I want something specific? We love your ideas! We are a boutique florist, so all of our orders are custom. If you have a specific idea just be sure to bring a photo or excellent descriptive language with you! Because we are in a mountain town, we need between 1-5 days to bring in flowers and up to 2 weeks to bring in plants - so please give us enough notice to be sure we can source exactly what you want for you! Absolutely! We visit homes and businesses in order to recommend tropical plants, place seasonal decor, and quote for event installations. Our fee is $60 for the initial visit, for up to 30 minutes of time. Installations are $120 for half an hour, then $60 for each 30 minutes after that - plus the cost of supplies. The simple answer is: no! If you have not given us your name and contact information with your order, we will have to get in touch with you to get it or we will have to refund your order. We can deliver a bouquet with no card message, but if the recipient wants to know who the flowers are from we will get in touch with the sender and give them 24 hours to fess up before we let the recipient know who has sent their bouquet. Find us in Downtown Revelstoke at 211 Mackenzie Avenue, across the street from the Modern Bake Shop.